Hundreds of U.S. 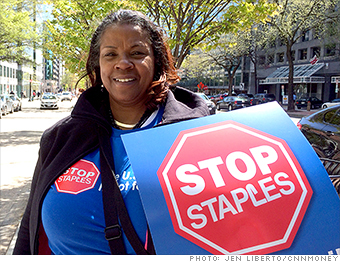 Postal Service workers protested against experimental mini post offices at Staples. Here's why some Washington, D.C. workers don't like the deal. My senior citizens don't trust the Internet. If they give me their letter, they know I'm going to make sure it gets there and go the extra step -- wrapping their packages with priority tape, making corrections on their address label. You can't tell me a person from Staples is qualified to do my job.